The early radars in post war Canada were World War II vintage and were generally the Air Ministry Experimental System (AMES)-11 truck convoy radars. These were extremely range-limited and were operated by the Auxiliary. The Reserve Aircraft Warning & Control units began to form in 1949 and the last of these units were fully available by later 1951. The reason behind the Reserve units was "to provide a pool of trained personnel that would be able to augment, in an emergency, the operation of Regular Aircraft and Control Units (ACWUs) on a 24 hour basis. The Auxiliary Units were equipped with the AMES-11C mobile radar and associated equipment, that was mounted in a variety of trucks. These trucks formed into convoys and were able to deploy anywhere as directed by either Squadron, Group, or Command Headquarters. These vehicles and their operators deployed far and wide to not only Regular AC&W Stations in their areas but to other locations in the field to exercise with both Auxiliary and Regular flying squadrons. The arrival of the Pinetree Line in the early 1950s resulted in the replacement of the AMES-11. We know, for example, that there was an AMES-11 radar establishment in Chatham, NB in the early 1950s. This radar site was effectively replaced with the "Pinetree Line" radar station which was located at St. Margarets, NB. Each radar site consisted of a convoy of vans and trucks: Radar van, IFF van (these two vans were joined together), workshop van, spares/supplies van and two diesel-generator trucks. Originally there must have been additional trucks for the transport of the radar and IFF antennas. AMES 11 (C) stands for Air Ministry Experimental Station 11 (Canadian). 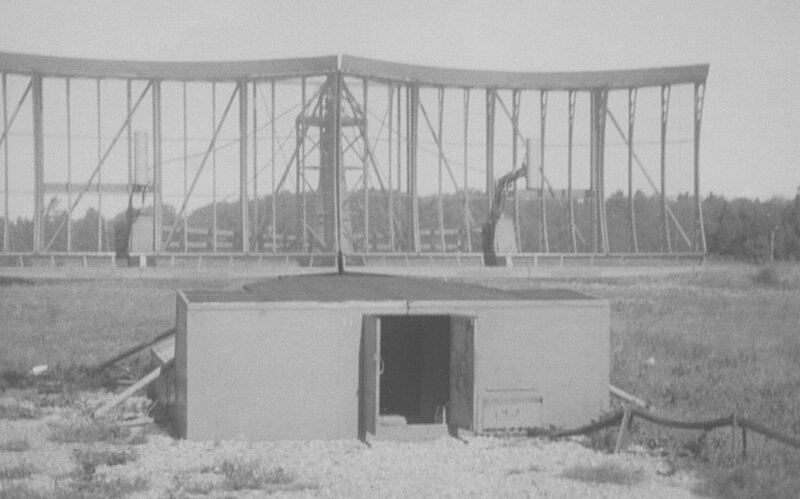 This search or GCI (Ground Controlled Intercept) radar was adapted or copied from a British design and was manufactured during World War II by Research Enterprises Ltd. in Toronto. It operated at 600MHz with a PRFof 400 Hz. All its indoor equipment was finished in RCAF blue. The IFF equipment was US Signal Corps type RC127-A, manufactured by the Belmont Radio Corporation, Chicago and was similar to the IFF interrogator used with the American SCR-584 “Skysweeper” ground radar. The IFF operated in the frequency range of 160 to 211 MHz. ( The airborne counterpart or Mk.III transponder was the SCR- 695 / BC-966.) The RCAF used 176 MHz. The equipment was finished in US Army olive green. This equipment may have operated well when it was new but by 1951 the sync and timing circuits needed a wholesale replacement of the old, leaky coupling capacitors. New Aerovox 0.01 MF capacitors were put in during the CAE overhauls. A modification was carried out by CAE on both the radar and IFF. It involved changing crystals and recalibrating the equipment from statute to nautical miles. 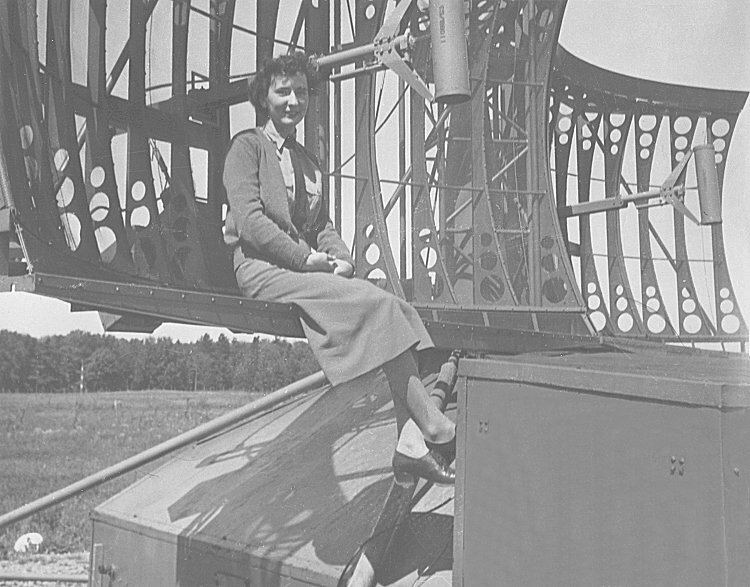 Unidentified FCO sitting on the AMES-11 antenna in Ottawa - June 1952. These personnel eventually were transferred to Foymount when construction was completed. 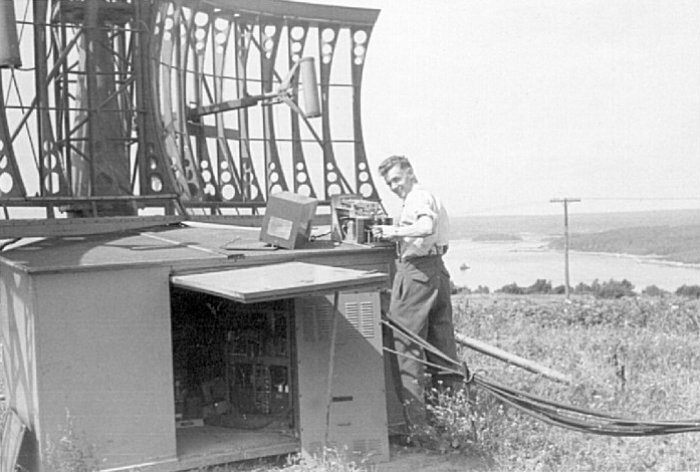 AMES-11 radar antenna located at Ottawa - June 1952. Larger image of the AMES-11 antenna in Ottawa - June 1952. 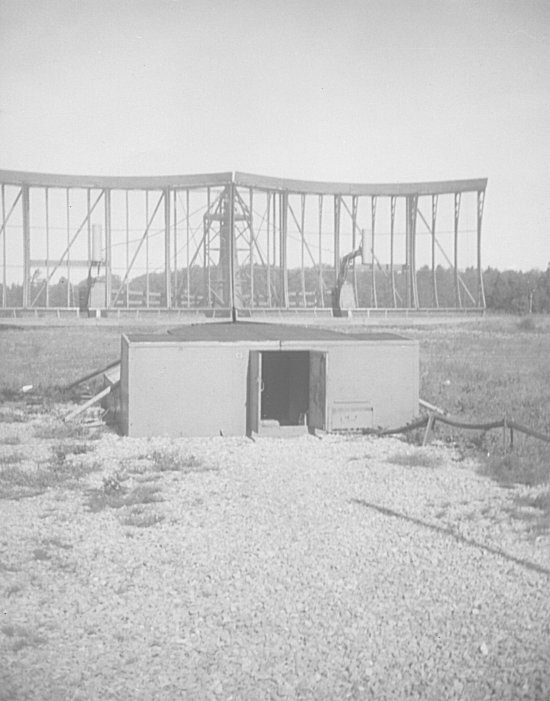 Canada's first radar system. 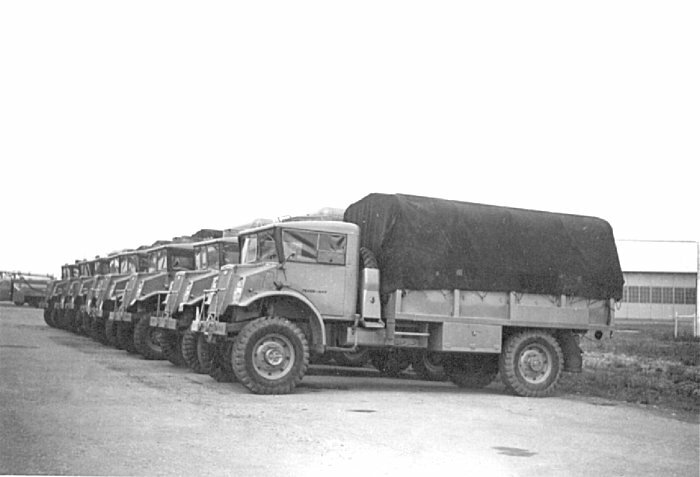 Truck Convoy of AMES-11C vehicles at St Hubert - June 1951.